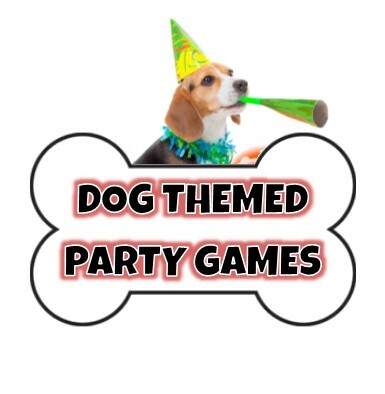 Need Dog Themed Birthday Party Games and Activities? Need dog themed birthday party dreams for your little dog lover’s big day? I got just what you need to throw a fun birthday party at home. These creative themed games are the perfect for kids. Most of these games are D.I.Y , I also added a few fun dog party game products for those of you looking for convenience. In this game the kids bop a balloon in the air to the music ( I thought “who let the dogs out” was a good tune for this game). When the music stops whoever last touched the balloon must pop it and complete the dog trick inside. The kids will have a blast transforming into fun dog characters for at child’s dog themed birthday party! Set up different stations for each part of the costume and let the children take their turn a each one. DOG EARS –Before the party purchase felt in white, brown, black, and other dog fur colors. Cut out different shaped dog ears of in pairs of different sizes and types such as floppy and pointed. Leave about an extra inch of space on the ends so that you can wrap it around the head band. But enough thin black headbands for every guest. You can usually find bundles of these at the dollar store. Glue or staple each set of ears onto the headbands. DOG FACES – At this station the children can have their face painted like a pup. You can a couple different dog face paint designs. If you type in –dog face painted- into Google search you can find all sorts of fun dog face designs. Find the ones that you feel you can pull off and print them out to give the children ideas to choose from. DOG COLLARS - At this party station the children can decorate their own dog collar necklaces! You can purchase large dog collars from the dollar store or just create them yourself out of choker necklaces or felt. Ideas for decorations to provide are beads, markers, glitter, and sticker decals. One reader used loop cereals and candies to string on their collar necklaces to make them edible. You could also cut out different shaped dog tags from poster board and have the children make up a dog name for themselves to write on it and add to the collar. SUPPLIES NEED TO PLAY: An assortment of dog related items. Paper In the next dog themed birthday party game the children work together as a team (or two teams depending on whether you want it to be competitive) to find fun dog related items hidden around the play area. Here are some fun dog scavenger list items that you may consider. Print out a list of the themed items for each group or child. If the children are too young to read you can use pictures of the item instead of words. SUPPLIES NEEDED TO PLAY: You’ll need an adult volunteer to play the role of the Cat and a big bag of candy or themed prizes. This dog themed birthday party game is a nice alternative to a piñata. The children must chase the Cat and try and tag him. If the Cat is tagged he must freeze and throw out some doggie treats (candy) to distract the dogs and get away. The Cat can hide from the kids or take a break from running up a tree ( not an actual tree just a time out place) The game continues until the Cat runs out of doggie treats to throw out. Crawl through a pop-up tunnel or hula hoops. Use their nose (or head) to push a balloon (or ball) in and out of cones. Place the handle of a plastic spoon in their mouth and balance a dog biscuit on it as they walk over to a big bowl where they must drop the biscuit in. Roll like a dog to the next obstacle. Dig up a bone buried in the sandbox. Guess the smell - Place three or four distinctive smelling items into individual containers or brown paper bags. The child cannot move onto the next obstacle until they identify what they smell without looking. Ideas include orange, dog food, bananas, stinky sock : ), chocolate bar etc..
Chase your “tail” in a circle three times. Draw a dog onto a the front of a card board box cutting out a big whole where the mouth should be. Have the children take turns trying to toss tennis balls or bouncy balls into the mouth. Another version is to have the kids toss dog food (cocoa puffs) into a dog bowl. This dog themed party game is perfect if you have a sand box. Bury small dog bone toys in the sand and have the kids dig to unbury them. They can trade every bone they find for a small prize. If you don’t have a sand box you can use a small kiddie pool filled with crinkle paper to bury the bones in. This is a great option for canceling out the dirty factor. ALTERNATIVE: Use bones cut from poster board and attach a paper clip to each one of them. Provide children with make shift fishing poles , dowel sticks with strings tied to one end. Attach a magnet as the hook and let them race to pick up as many dog bones as they can. You can play in teams or individually. SUPPLIES NEEDED : Stuffed animal dogs, paper, printer, computer. As the guests are arriving have an “Adoption Center" Set up. Purchase enough stuff toy dogs for every guest, plus a few extra so that everyone has a selection. Beanie baby dogs are great because they come in all different breeds. You can get as simple or elaborate as you want with your adoption center. You can display the animals on a table or get creative and make little kennels or crates for them all. For each dog you’ll need to create an adoption certificate. The certificate can include fur and eye color, temperament, personality etc. on it and when it was "adopted" the kids got to name it and sign at the bottom of the page. You can even give them a toy ball (bouncy ball) to take home with their new pet to play with. This is a great dog themed birthday party game that will have all the kids barking out loud, literally. Fill a bag full of different categories such as excited, shy, sad, angry etc. Then reach in and choose the category and let each guest acts (and BARKS) what that would look like. You can play just for fun or award a small prize for the winner of each category.